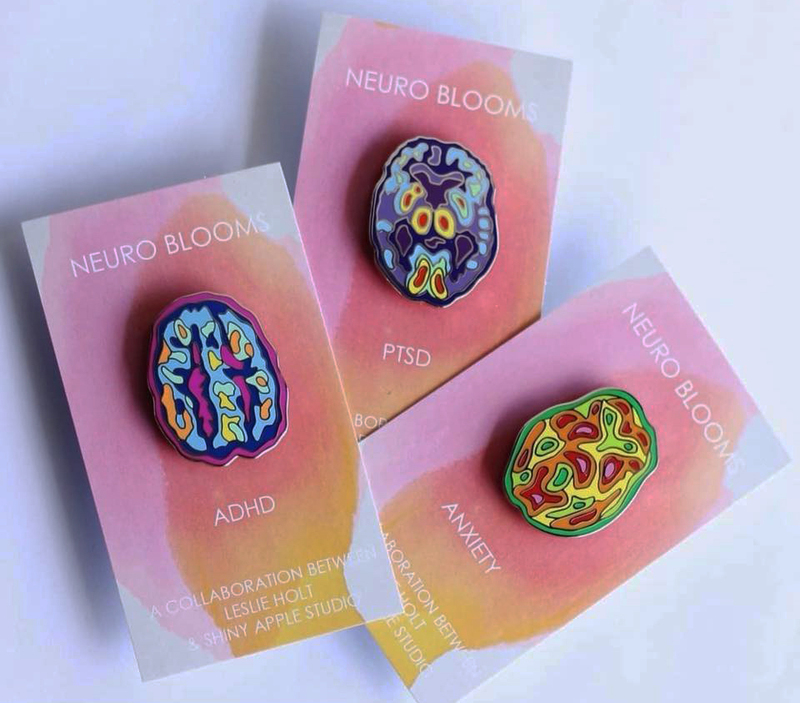 In partnership with Shiny Apple Studio, I have produced a series of enamel pins called Neuro Blooms to accompany my Brain Stain series. The pins are catalysts for dialogue about persistent damaging beliefs about the causes of mental illness, such as a lack of moral character, bad parenting, laziness, etc. 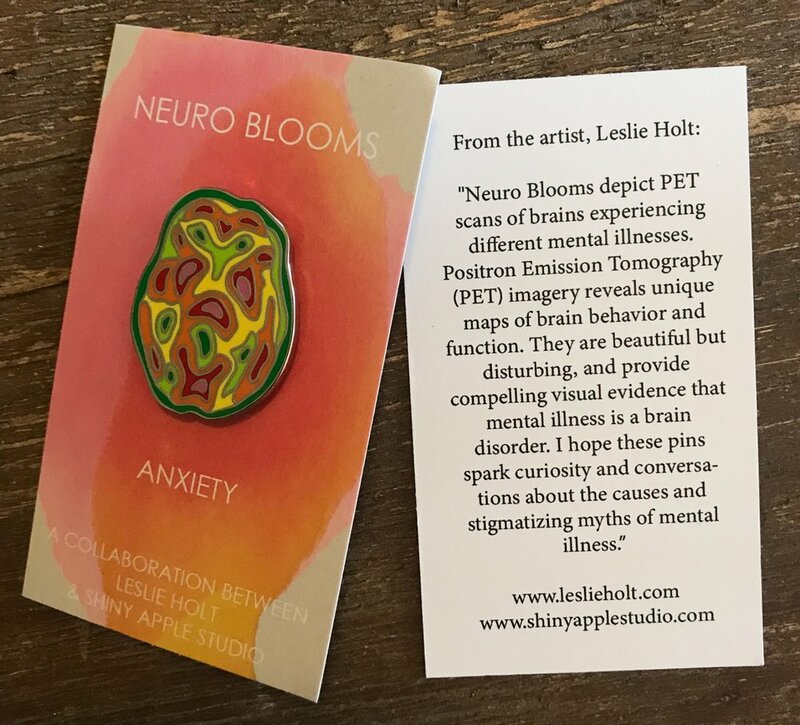 Initially released on social media in the spring of 2018, the Neuro Blooms have proven to be incredibly popular, particularly among young adults, the age at which serious mental illness typically begins. People are posting pictures wearing the pins proudly, telling their struggles about mental illness, advocating for brain research, and showing support of loved ones. These are the conversations I want to activate.